3D printing has grown sophisticated enough to manufacture disposable sensors that can detect noxious gasses. Check out the benefits 3D printing brings to devices. At the back-end of last year, I wrote about a fascinating new wearable technology from SmartSite, which is designed to help improve safety levels on construction sites. 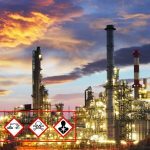 The company, which is part of the Y Combinator stable, offers hardware that is connected to the cloud to help companies measure what hazardous substances employees are exposed to. Such exposure is common on building sites and can lead to conditions such as cancer, dermatitis and a range of respiratory problems. To help reduce this, the SmartSite system monitors particulates in the air, UV rays, and even noise levels on site. Now, researchers have developed 3D printed, disposable sensors that are also capable of detecting noxious gases, albeit more for environmental monitoring than worker safety. The work, which was documented in a recently published paper, developed a cheap, yet reliable, system for detecting danger. The authors reveal that current early warning systems usually rely on satellite monitoring or fixed sensors, which can often be very expensive. The new system works instead by deploying an array of sensor nodes that are connected wirelessly to a smaller number of fixed nodes, which are used to raise the alarm. In a proof-of-concept study, the team showed how the sensor network can detect heat and low humidity, both of which are hallmarks of forest fires. They were also capable of picking up hydrogen sulfide, which is commonly found on industrial sites. The sensors themselves were placed on a 3D printed node that came complete with a battery and circuit board, with an antenna capable of transmitting data. The 3D printing approach was used because it's fast and low-cost. "Material is deposited in precise quantities only at the desired location," the team said. "Traditional manufacturing methods take bulk material and gradually remove material to realize the final shape, resulting in significant wastage." The next stage of the project will be to build in an energy source into the system, thus rendering it self-sufficient. This is crucial for usage in remote locations. The team is experimenting with printed solar cells in the hope of eventually removing the need for batteries entirely. They also want to explore options regarding the scale-up of manufacturing, and also modifying the design so that it uses customized chips rather than the current circuit board. Together, they hope this will reduce the cost of each node to under $1, which should make them easily competitive on the market.